You can change the URL of a YouTube video to force it to automatically open up in full-screen mode. You can use this link for lessons or share with other people. Copy the completed URL and use to link or share with others. 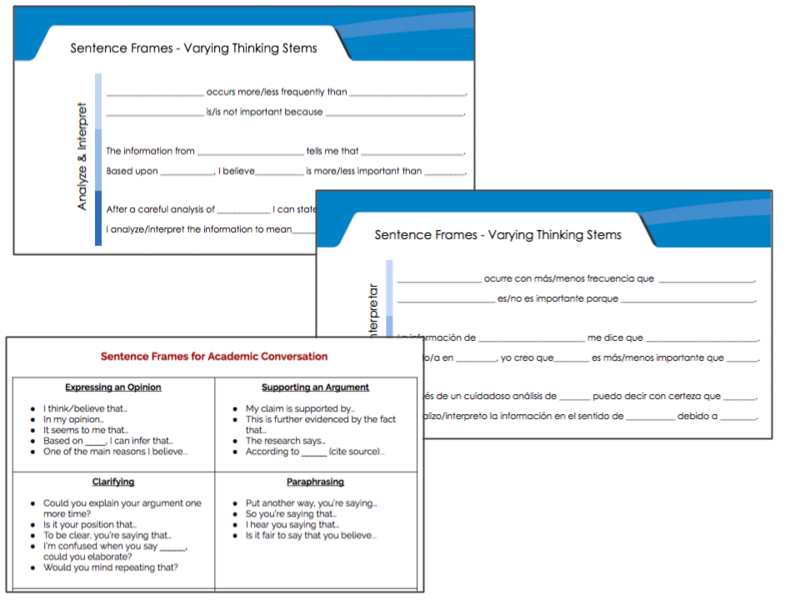 Thinking Frames are used to help students begin the thought process by providing a model for organizing their thinking. They should be used in any classroom K-12, regardless of level or content area. Reading is more than just understanding the words on a page and no one knows this more than English teachers. Two 9th grade teachers at my school, Katie Ann Prescott and Lori McDonald, wanted some new ideas to get their students critically thinking while reading Frankenstein. I shared my Creative Expressions Ideas resource with them and they chose to have students tweet as they were one of the characters in the novel. Those who understand the critical thinking that needs to take place for readers to get into the mind of a character will see how this simple, yet complex task really shows what students understand. Katie Ann and Lori chose to go the non-digital route for this activity, but I will give digital options below. The students received index cards and post-its. The assignment was to, on the index card, create a tweet from the mind of one of the characters. The tweet needed to reveal the main idea of the chapter from the characters point of view and include a hashtag to summarize the chapter. One of the teachers had each student individually create a tweet, while the other teacher allowed them to work in partners. The tweets were displayed in the hall under the appropriate chapter and character, which allowed the class to take a gallery walk to read the tweets. Each student then used the post-it notes to respond to the tweets. Both Katie Ann and Lori were pleasantly surprised and amazed at the work that they students produced. This was a wonderful formative assessment piece that the teachers can use to see if the students truly understood how to analyze the character of a novel while addressing the main idea in a summary format. Tabletop Tweet - each student is responsible for the Tweet It, Capture It, and Hashtag It boxes and then is assigned a partner to switch with for the Retweet It portion. Padlet (tutorials)- although you are limited to 3 walls on the free account, you could use the shelf template to represent the chapters/characters. Each of your classes could use the same Padlet wall. Enable the comment feature so that students can then use this to respond to the tweets. LinoIt (visual explanation) - students must create an account to use this tool. It does have Google login capabilities. 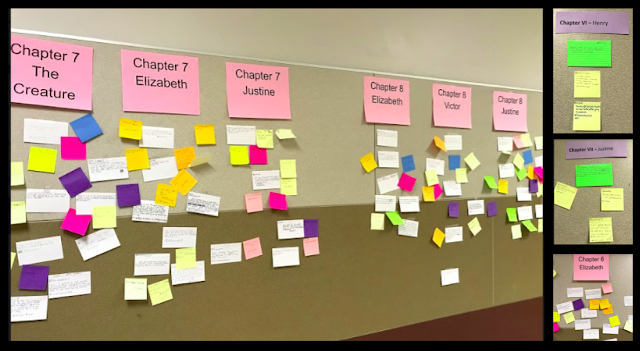 Like Padlet, this is a board that allows users to create sticky notes and place in various locations around a board. With the technology that we have now it is not impossible for students to be "standing" in Paris one minute and "scuba diving" around the Indonesia Islands the next. As educators we need to be deliberate about making our content come alive in the classroom. Whether it be students virtually visiting a historical site they are learning about, such as Machu Picchu, or walking around the streets represented in a story they are reading, all students need those experiences. If you haven't checked out my Exploring the World Through Virtual Field Trips resource, then I recommend you start there. This will give you an idea of all the resources available for you and your students. If you are ready to start creating your own virtual field trips or better yet have your students start creating their own, then check out the presentation below. I share my favorite resources, give a tutorial on how to use, as well as provide multiple examples as a way to inspire.